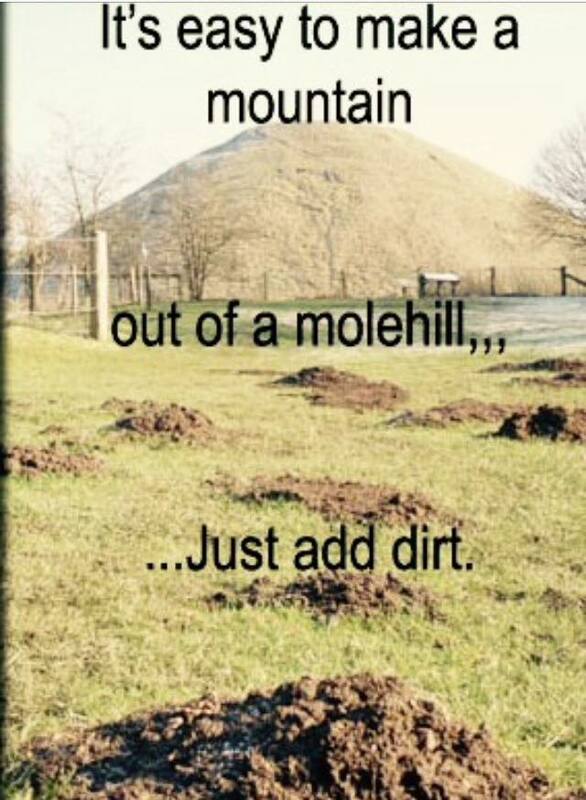 INNER PEACE PLAYGROUND — We have all heard the saying, “Don’t make a mountain out of a mole hill.” Nevertheless, it’s something that most people do. Even those that do not like drama or chaos still find that they feed the demons in their head when it comes to certain things. It is easy to worry and to find things to fret about. Life can be tough, which makes it all that more important to not make it tougher. With progress and innovation, success in many ways causes stress in others. In the same vein, having fears and concerns over the lack of good things that are going on also can cause an enormous amount of anxiety. Medical issues, aging, parenting, work, pain, grief, finances, relationships…..the list can go on and on. The important thing though is to remember to breathe and to truly grasp the concept that fear, anxiety or obsessively thinking about something doesn’t change it…..and it most certainly doesn’t change it for the better. At any given time, the best thing that you can do is to breathe, relax through whatever is going on, to find gratitude in what you can and to believe that all will work out for your highest good. Serenity comes when you find peace in the unexpected moments and appreciate the molehills while making gratitude the sunshine that finds its way through to you. Find and join the group Inner Peace Playground on Facebook. This entry was posted in Guest Writer, Inner Peace Playground, Words of Wisdom on January 13, 2016 by gordonglantz.